Jamaica is a beautiful island country in the Caribbean. The third largest island there, you can actually see Cuba during the sunrise, as long as the morning mist doesn’t get in the way. A stunning place to vacation filled with beaches, mountains, and scenic waterfalls, it’s also home to some of the friendliest people on the planet. The relaxed vibe Jamaica emits is truly contagious, and one of the best ways to get to know it is through the cuisine. Here are 13 dishes you must try from Jamaica. 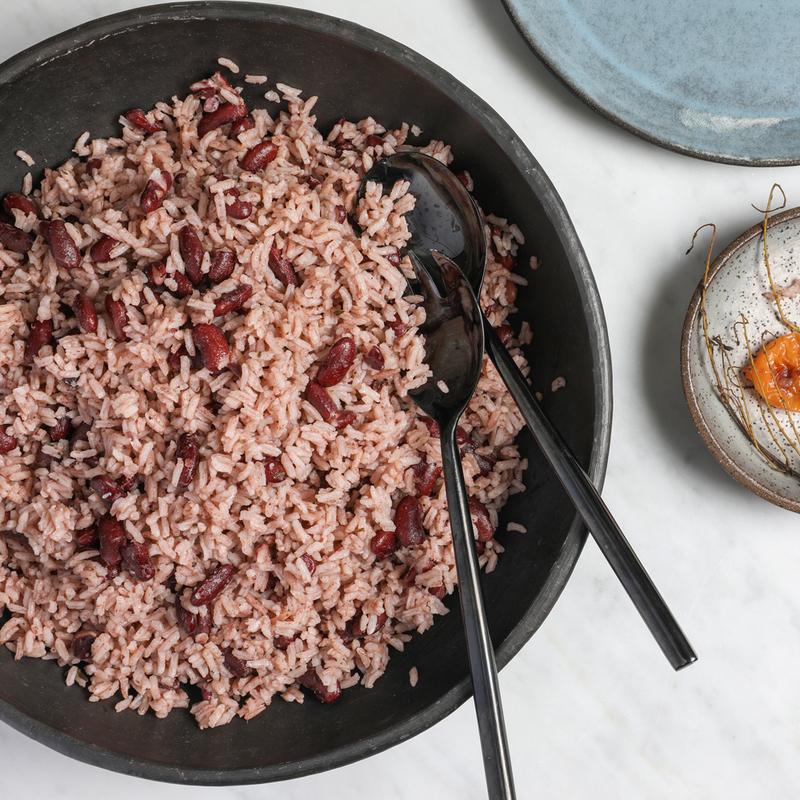 You’ve probably heard of Jamaican jerk chicken or pork (coming up later on this list), but perhaps you haven’t heard of Jamaica’s official national dish. 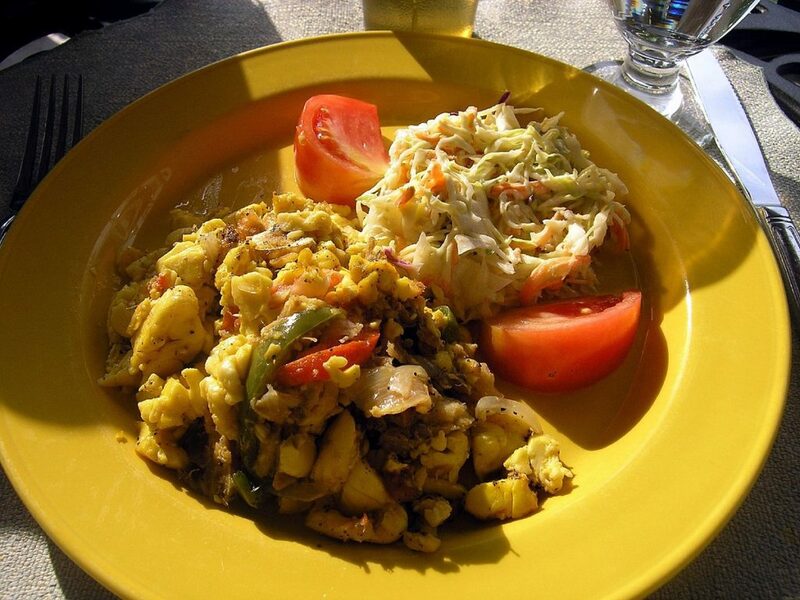 This is a dish of ackee, Jamaica’s national fruit, and saltfish. Saltfish is, as the name suggests, a salted and dried cod that you’ll find a lot of around these parts. 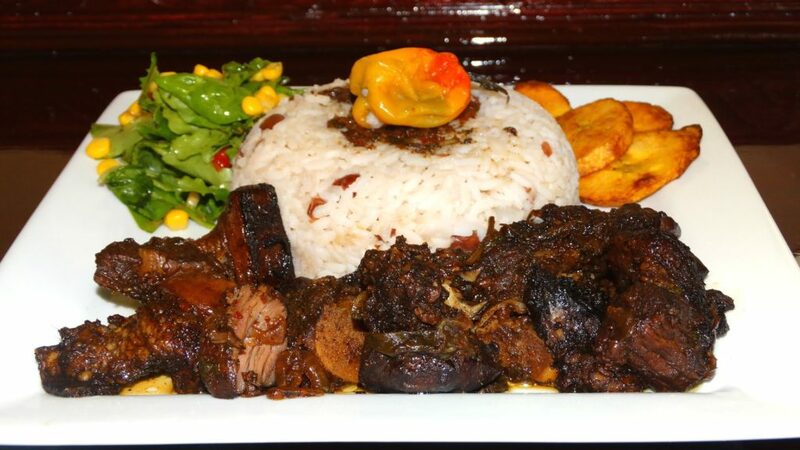 It is typically served with breadfruit, a hard type of bread, fried plantains, and rice with peas. Interestingly, the ackee fruit is poisonous if you eat it when it isn’t yet ripe so make sure you’re eating it from a reputable source. This is a fried dough that is sweeter than the popular johnnycakes (which you should also try). It’s made from cornmeal and is best with fried fish. These are fun to eat and make a good addition to just about anything you’re eating in Jamaica. 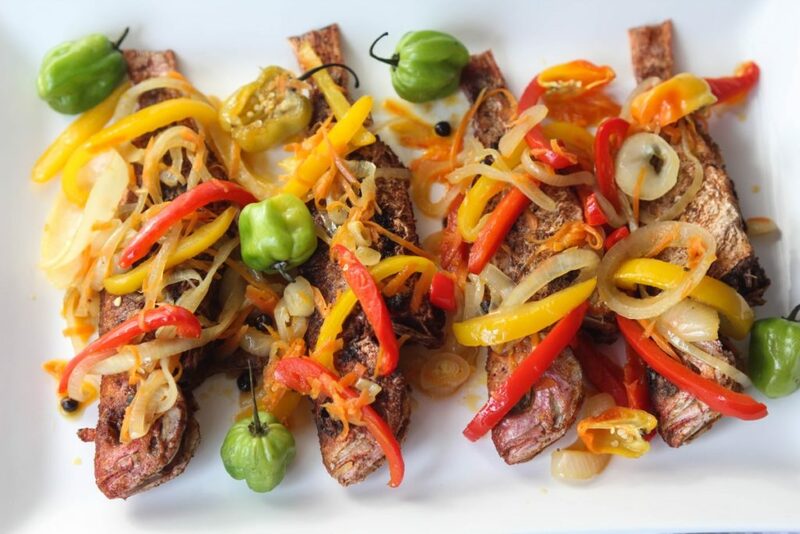 A true Jamaican classic, this is a dish of fish that is marinated in a spicy sauce, then lightly fried and drained. From there, it gets soaked in a vinegar marinade with onions, carrots, hot peppers, pimentos, and a native vegetable called choco. Choosing a Jamaican fried bread to go with it is the best way to eat like a native. Bammy is usually the recommended choice. It’s a bread made from cassava flour. Legend has it that Christopher Columbus and his crew at Bammy when they first met the Arawak Indian tribe. 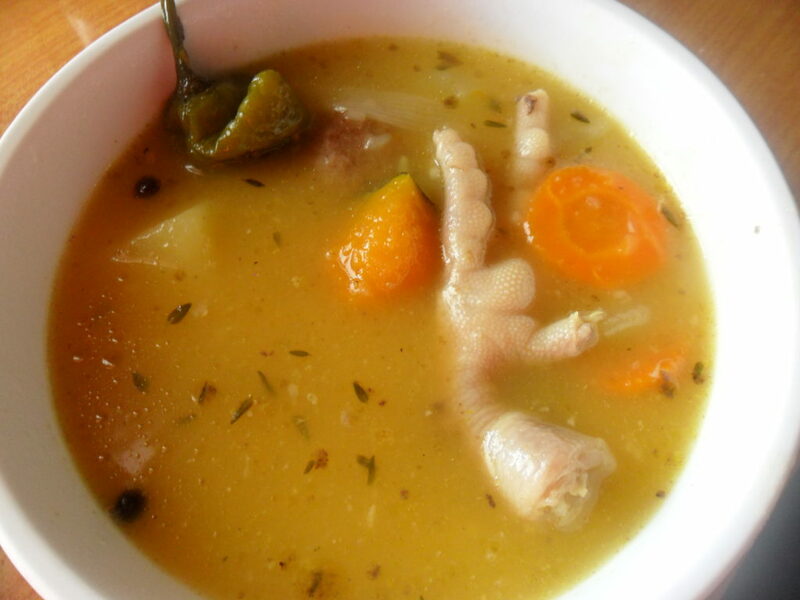 This traditional Jamaican soup contains chicken feet. Don’t knock it before you try it! It’s robust with Jamaican spices including Scotch bonnet pepper and filled with yams, carrots and boiled dumplings. To Jamaicans, this is pure comfort food! A popular dish that’s often served with much of the main dish options, it is cooked with coconut milk and beans. Sometimes, pigeon peas (called “gungo” peas here) or red kidney beans are used. You’ll really be hard-pressed to find a meal without it. The name is straightforward here. 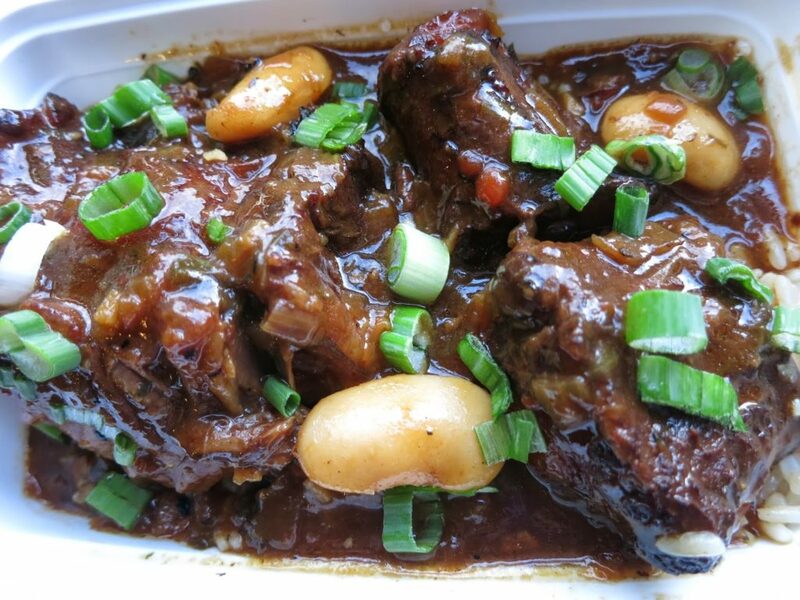 It’s a stew made of oxtail. It’s simmered until the meat falls right off the bone. Hearty and delightful, it’s seasoned with thyme, allspice and garlic with plenty of lima beans to round it out with. 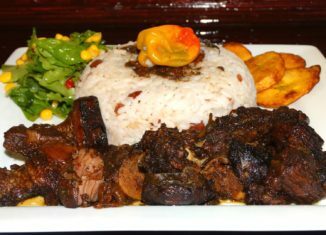 Enjoy it with rice and peas for a savory and sensational meal. 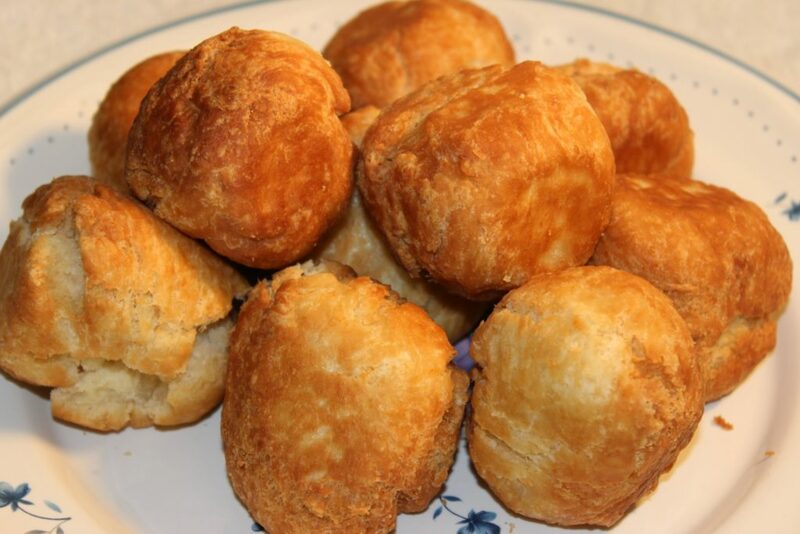 Fried dough balls make for a fine Jamaican breakfast. These are usually made from flour, but some you’ll find are made from cornmeal, grated plantains, or cassava flour. 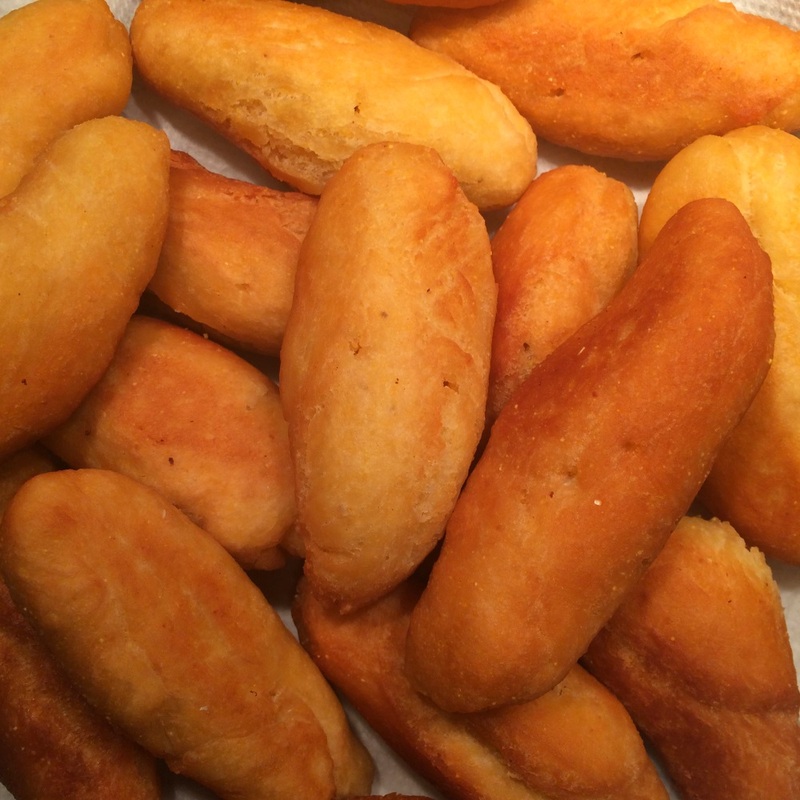 Jamaicans often eat this fried dough with ackee and saltfish or callaloo. 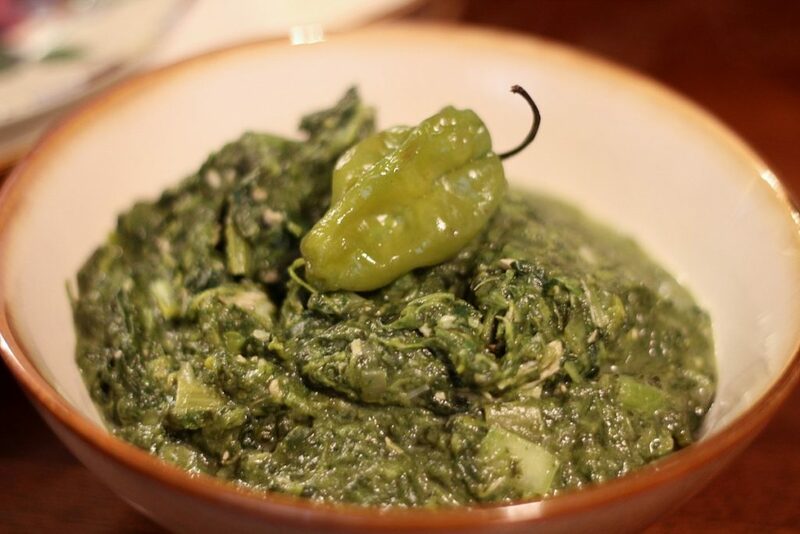 Speaking of callaloo, this dish is pretty popular throughout the rest of the Caribbean though in Jamaica it is called “callaloo” because of the main ingredient which is a dark leafy green by the same moniker, akin to spinach. The callaloo leaves are steamed and cooked with some sort of saltfish with plenty of onions and scallions. It’s best with plantains and bammy. This comforting dish of kidney beans and meat simmers away in a coconut milk-based broth. For good measure a type of dumpling called spinners is thrown in. 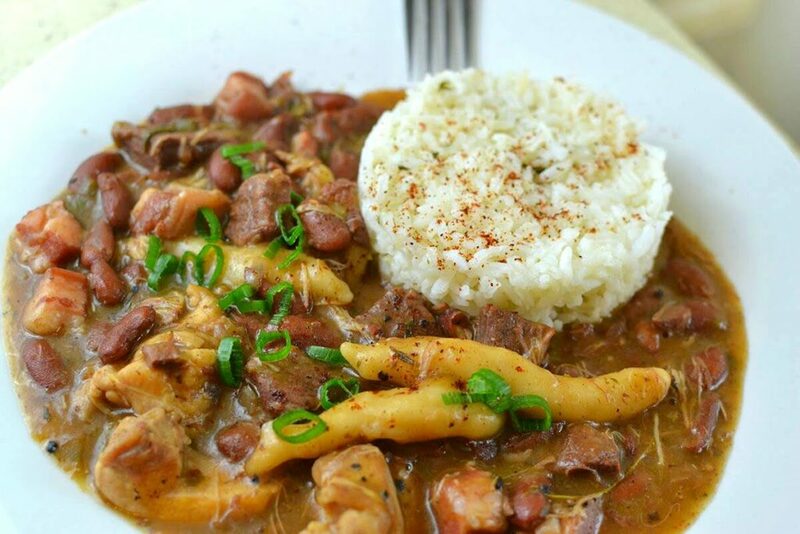 It’s typically served with white rice for a hearty dish that will soothe your soul. For breakfast, try this Jamaican staple. Dried saltfish is coated in flour with onion, garlic, and peppers and then fried up to a crisp. 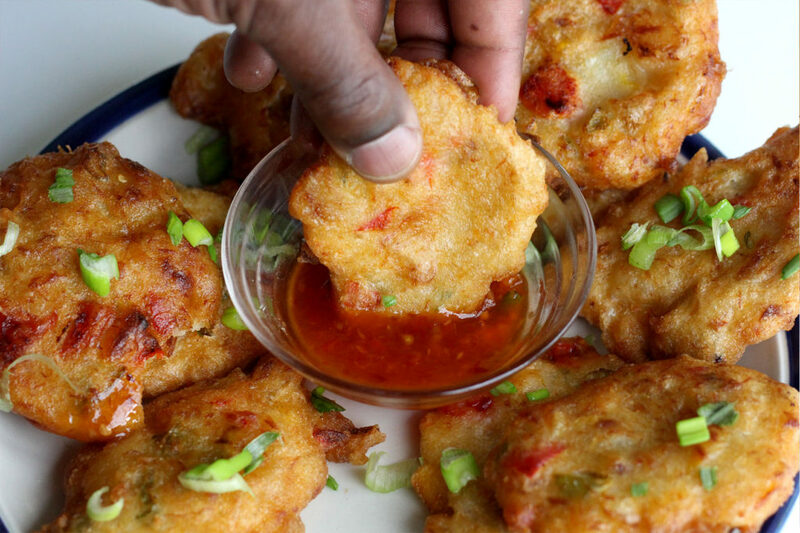 It’s served with a sweet chili pepper sauce for dipping, something you’ll wonder how you ever lived without before. 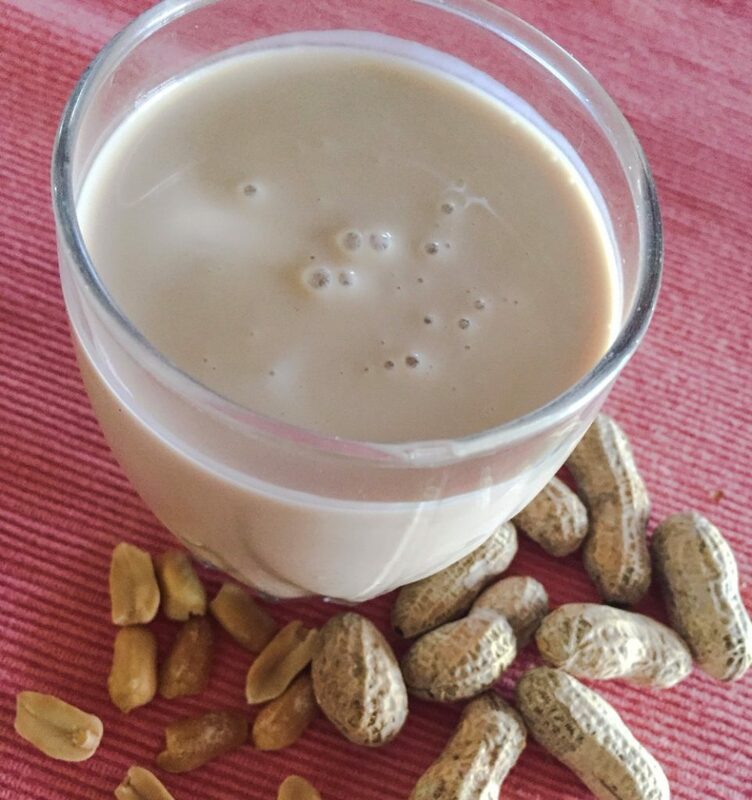 This drink, or punch, is filled with peanuts, vanilla extract, nutmeg and milk. Sometimes you’ll find it with oats or with Guinness depending on where you sample it. However it’s made though, the belief is that it is an aphrodisiac beverage so it could be worth a try! Vegetarians and vegans will be happy with this dish that came about from the Rastafarians. 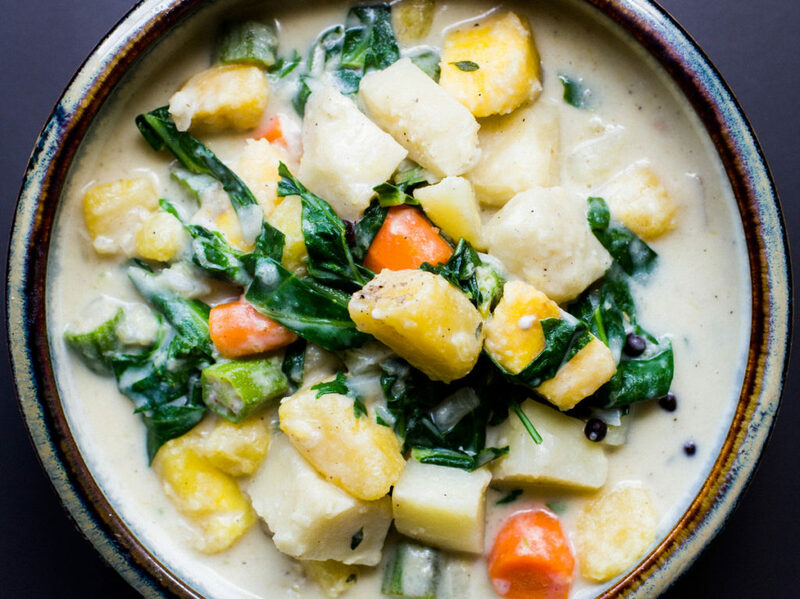 This stew is filled with things like pumpkins, breadfruit, cassava, carrots, sweet potato, turnips, onions and yams, all boiled in a vegetable broth with a little coconut milk and a world of flavorful spices. Even if you’re a meat-eater, you’ll love this healthful, nourishing and incredibly filling stew. And finally, we’ll end with jerk pork, which you’ll also find with jerk chicken too. When you hear the word “jerk” in Jamaica, it’s not an insult. It refers to the method of cooking the meat. Pork or chicken is coated in jerk seasoning and then cooked on a wooden grill or sometimes in a covered pit. This dish is one of the best in Jamaica for good reason. The meats turn out so juicy and tender with a slightly charred and slightly spicy exterior you’ll love. On your trip to Jamaica, this dish should not be missed. You’ll likely find it served with rice and beans, festival, and French fries. Nothing will put you in a happier mood, except perhaps if you enjoy it with one of Jamaica’s refreshing beers like Red Stripe, or even some rum too. any dishes that taste like butter chicken but are vegetarian?